Futures research (including Foresight and Horizon Scanning) has emerged as a key instrument for the development and implementation of research and innovation policy. The main focus of activity has been at the national level. Governments have sought to set priorities, to build networks between science and industry and, in some cases, to change their research system and administrative culture. Foresight has been used as a set of technical tools, or as a way to encourage more structured debate with wider participation leading to the shared understanding of long-term issues. 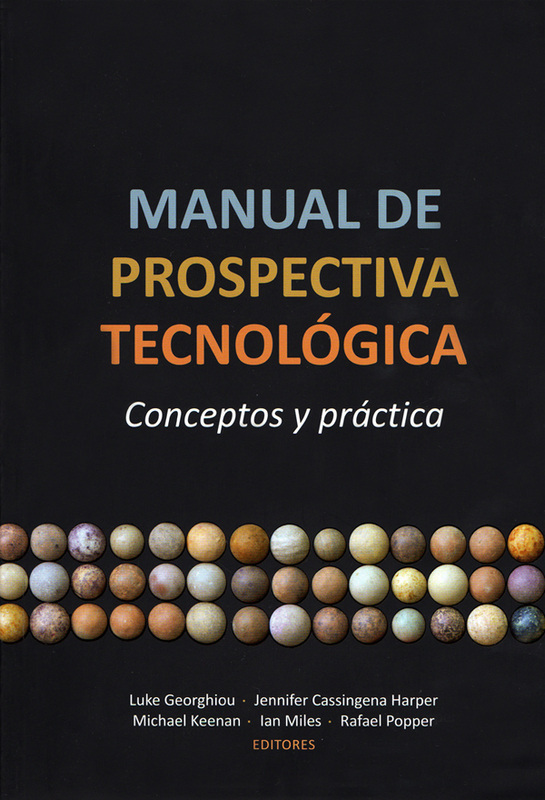 There is an increasing need for specialised IT solutions supporting futures research and innovation processes. This has been one of the driving forces for the creation of a specialised IT company called Futures Diamond. To better understand the core elements of Foresight and Horizon Scanning (FHS) activities, I developed a practical framework which I called the S.M.A.R.T. 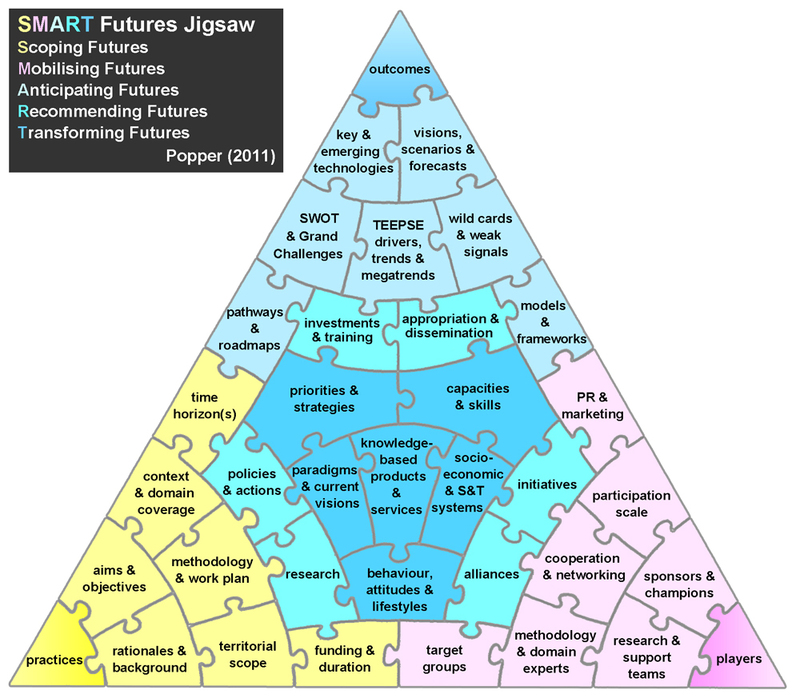 Futures Jigsaw. It contains 36 elements, which relate to the five phases of FHS processes: Scoping, Mobilising, Anticipating, Recommending and Transforming. Each of these phases and elements will be explained in greater detail below. NB: In an academic context I would normally argue that the main difference between Foresight and Horizon Scanning is that the latter does not necessarily involve “recommending” or “transforming” futures. However, in practice, the boundaries between Foresight and Horizon Scanning are becoming rather fuzzy, with several HS activities resembling what we (in Manchester) would normally call Foresight. 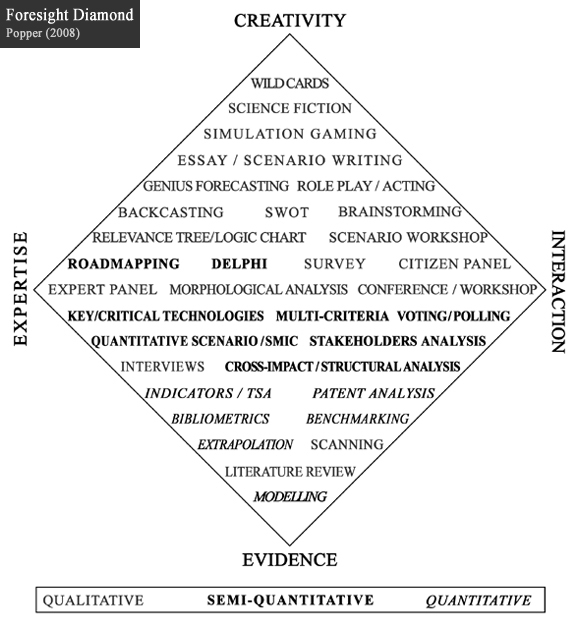 New/further research and Foresight activity – To address new research questions.